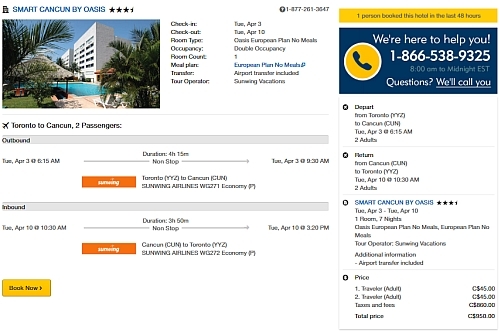 Sunwing Vacations has dropped the price of a 1 week flight and hotel package from Toronto to Cancun, Mexico down to $475 CAD (per person) including taxes. Warning: Recent reviews on Tripadvisor suggest that the hotel is currently undergoing renovations on some rooms. The Sunwing flights from Toronto to Cancun are non-stop both ways. However, Sunwing is known for occasionally adding a stop to their flight itinerary. 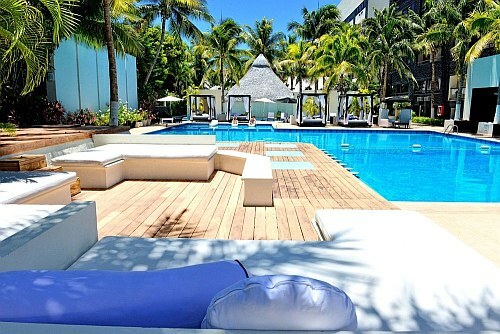 toronto, yyz, cancun, mexico, cun, sunwing vacations, north america and flight and hotel packages.